The Chief Joseph Highway that leads from Cody to the Northeast entrance of Yellowstone National Park is one of the most scenic drives in the West. I have camped, hiked, and skied the public lands along this ribbon of blacktop many times over the decades, including as recently as this past summer. Yet the Shoshone National Forest, based on dubious assumptions about wildfire and forest health. The FS plans what it euphemistically calls “vegetative improvements” or what is better known as clearcut logging that will desecrate this scenic by-way. Their proposal calls for logging 2000 acres along nine miles of the corridor, including logging in a roadless area. To put this into perspective, this scheme calls for logging an area equal to 1520 football fields. Imagine 1520 football fields denuded of its forests! The proposal also calls for building or reconditioning 25 miles of logging roads. The worse part of this proposal is that the main justifications for logging are scientifically questionable, while the ecological impacts are certain. There are numerous studies that conclude you cannot halt or slow a beetle outbreak by logging, nor can logged areas stop fires burning under severe weather conditions because embers are blown miles ahead of any fire front. Furthermore, many recent studies (which the FS appears to ignore) conclude that dead trees typically reduces the prevalence of wildfire, and at the least, does not increase the risk. Climate/weather, not fuels, drives large fires. Thus, logging does not and cannot preclude large blazes. Plus, under extreme fire weather, which are the only conditions when you get large uncontrollable blazes, green trees burn more readily than dead trees due to the abundance of resin-filled fine fuels like needles, small branches, and so forth. In addition, even if removal of dead trees did temporarily reduce the risk of large fires (a questionable assumption), such a reduction is effective for a very short time since trees quickly grow back creating fuel for fires. Thus, the probability of a major wildfire during the time when fuels are reduced is extremely small. That means this logging likely will not provide any “benefits” (questionable as they are), while almost certainly causing ecological harm and costing taxpayers money. Removal of dead trees impoverishes the forest ecosystem, so in effect, the Forest Service is helping to destroy our forests. Dead trees, whether killed by beetles or wildfire, are vital to forest health. Many, many species of wildlife, and many plants are dependent on dead trees for home, food, and shelter. Even streams depend on dead trees—fallen logs create critical habitat for aquatic ecosystems and are important for hydrological integrity. Dead trees are also important for storage of carbon and nutrients. Therefore, any large-scale removal of dead and dying trees bankrupts forest ecosystems. Logging and roads also problematic. The disturbance created by logging activates including roads enhances the spread of weeds and compact soils. Logging roads, even temporary logging roads, are a major source of chronic sedimentation in streams which destroy fish habitat. In addition, there are studies that show many human-caused wildfire occur along roads. So, the construction of new logging roads increases the probably of wildfire starts. Poaching is also enhanced by the easy access provided by roads and sensitive wildlife avoid roads, thus reducing their useable habitat. If the goal is to protect the scattered homes and ranchers along the corridor, many studies have found that reducing the flammability of homes is far more effective and less costly than any fuel treatments. Installation of a non-flammable roof and eliminating burnable materials 100-200 feet from a home is sufficient to safeguard homes. 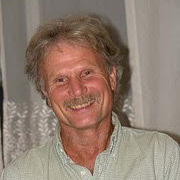 George Wuerthner is an ecologist and has published 38 books including several that cover wildfire issues. So much for science! Protecting human interests takes precedence, no matter which party is in power. What I mean is, there’s all this talk about political parties being pro- and anti-science, but yet both parties seem to ignore it in favor of logging, the steady encroachment of roadbuilding and homebuilding, hunting wildlife, etc. To intelligently provide input to the Shoshone NF on the Budworm project, read the provided project proposal first and NOT just drink the authors “kool aid”. I live along this highway. The reason for their logging project is based mainly on the scenic value because the spruce budworm has decimated the trees there. I essentially had two comments. First along lower Camp Creek road is good habitat for snowshoe hare. FS did some vegetation studies several years ago in anticipation for their 20 year plan. They determined areas of snowshoe hare habitat in order to preserve lynx conditions. We, they, are trying to bring back lynx here, which are quite rare. Lower Camp Creek should be judiciously logged if at all to preserve hare habitat. If you lived here and knew where they were to put ‘new roads’, you’d see that 1. they are proposing these to be temporary, and 2. the longest ‘road’ is actually already an ATV route along the telephone line corridor directly above the Clark’s Fork overlook flats. My second comment had to do with this area. There are very old–maybe over 100 years–beaver lodges there. We no longer have beaver here and yet we need them. One errant beaver made it to Russell Creek right by this proposed road area and was killed by a homeowner. I would like the FS to take a look at that area and log accordingly. The area is a tangle of dead and dying spruce, but also incredibly wet with seeps. Judicious logging and replanting would encourage beaver habitat. The FS is considering replanting beaver nearby to halt the erosion of Sunlight Creek. The two plans should coordinate. I am not necessarily opposed to the logging project, especially in areas east of the highway which has some nice wet habitat that could be used for better forage and aspen rejuvenation. This includes the area west of the highway along Swamp Lake. Swamp Lake is an ideal area for beavers. Right now only muskrats are there due to a muskrat farm probably as far back as the 30s. I for one am for the harvesting of dead, dying and diseased timber. like it or not we live in a conservative society(conservation). The big private mill practices of yesteryear are no longer tolerated with today’s new “Better Management Practices”. Water shed quality and wildlife are main concerns to everyone. As an avid outdoors-person, i firmly believe that conservative practices and sound planning benefit the best for everyone. To let every tree rot and go back to mother nature and not be utilized is absurd just because of a cat or a hare. I grew up in a logging community and have noticed my whole life that a snowshoe hare doesn’t care if it lives in a area recently harvested of timber(they actually thrive). Nor does the cat that is preying on the hare. I would like to think the cat just notices some of the furniture has been moved around in its huge territory which is many, many times greater than the area being prescribed to management. The spruce bud worm can wipe out entire stands of timber which can be entire mountains. The wildfire epidemic which has only just begun to collect its bounty with all of the once standing timber now being ground fuels is going to get much worse. We should be capitalizing on all of the timber we can that are around populated areas whether they be campgrounds or scenic pathways or someones dwelling. I currently operate a company which practices “sustainable yield” harvesting and am against clear cut practices but also realize that sometimes its the best prescription for some situations but not all or most, would much rather see our forest lands managed through sound harvesting practices than to “let them burn”. New to the site Darby? Some excellent, past threads on “managing” forest lands. Agree and disagree. If any type of supplemental planting is not attempted, good luck keeping deer or elk from mowing that down, it opens the door for more fir (balsam here), and aspen which will out compete almost everything else, ergo monoculture, which opens the door for more maladies such as budworm. A constant war up here in NE MN with balsam fir. Which harvest method you decide to use should be based on your goals and objectives. The vast majority of private landowners tend to use clearcutting because it’s the most cost effective regarding logging costs and produces the maximum timber volume for the immediate need. However, it comes with environmental costs typically resulting in a monoculture forest with few snags and down wood; important habitat for a variety of species. There is no shortage of young stands throughout the US, however there is a very real shortage of older stands (which not surprisingly typically contain the majority of T&E species) and these stands should not be harvested. When wildfires burn through these stands, they typically contain islands of unburned areas and the burned portions provide snags and down wood for a variety of species that depend on this habitat. These older stands are also the best carbon sinks on the landscape. Computer models (Oregon State University) indicate if and it’s a big “if”; timber companies begin commercial thinning stands at ~50 years of age and periodically thin every 20 years up until the age of 200 years, the companies would have harvested ~20% more total timber volume than if they had clearcut harvested every 50-60 years as they are typically currently doing. The value of the timber using a long rotation would also be greater due to the larger size of tree being harvested and tighter grain of the wood. Overall, less than 1% of the total federal forest base is harvested each year which ultimately increases the amount of timber removed from private and state lands. If I were king, I would increase the commercial thinning commitment on federal land (strictest environmental regulations), to enhance or restore older forest characteristics which are currently lacking. Thinning grows trees faster, can increase diversity to the understory, and if done correctly create immediate snags and down wood while providing wood products. It’s odd that over two weeks ago I left a reply to a comment I had read.And know know that it will be pre approved or not published at all, that is sad; for we must all look at each other’s views and not use this FINE site as as spring board for political advancement. Whether for or against a cause. Unless you sprinkled your reply with foul or derogatory language, I can’t understand either why it wasn’t published. There are the occasional glitches when it comes to posting comments here (I’ve had one or two not show up) Maybe try again?